Now many computer users are aware of a lot of computer knowledge,general in the desktop computer to buy, in addition to buy brand machine, most computer users like yourself, buy the computer hardware DIY computer, so that the result will feel a sense of achievement, and secondly, can assemble for the one you want the computer. Among them, the computer hard disk is installed that is a simple and have to be careful thing.Computer hard drive is one of the most important hardware of computer, which is used as computer storage..Most of them are fixed hard drive, he was fixed in the computer chassis internal. Hard drive on the chassis, but also to the hard drive wire.Hard disk connection mainly includes power line and data line two. 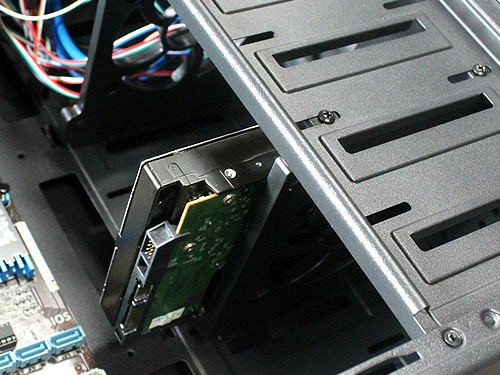 Currently on the market mainstream hard disk interface is SATA interface, for the power line connection, as long as in even when the look at the SATAinterface on the power supply line of the small gap is suitable for SATA port. 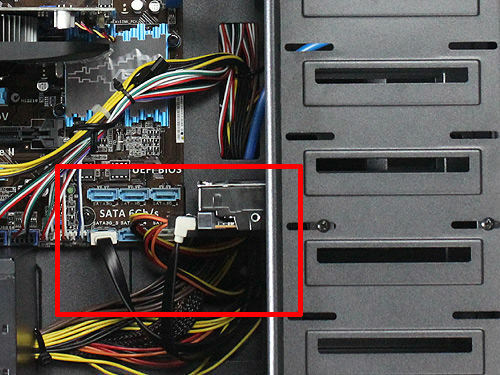 However, you don't pay attention to, it doesn't matter, becauseif the power cord is plugged into, that is to say to show that you arein the anti, inserted in turn can be.For data cable connection, with SATA line a head inserted in the harddisk, a head inserted in the motherboard superscript SATA or ESATAinterface.If you can't insert it, you can insert it back and you can insert it in turn..
Hard drive if you want to remove the general note that must be removed under the condition of the computer shutdown.After the computer is turned off, unplug the power cable and the digital line first, then pull down the screw, remove the hard drive..